an alpha inspired by the DYD color set in 3 different alpha types. a collection of your favorite christmas movie quotes to make you feel good. December, You Are A Fave No. 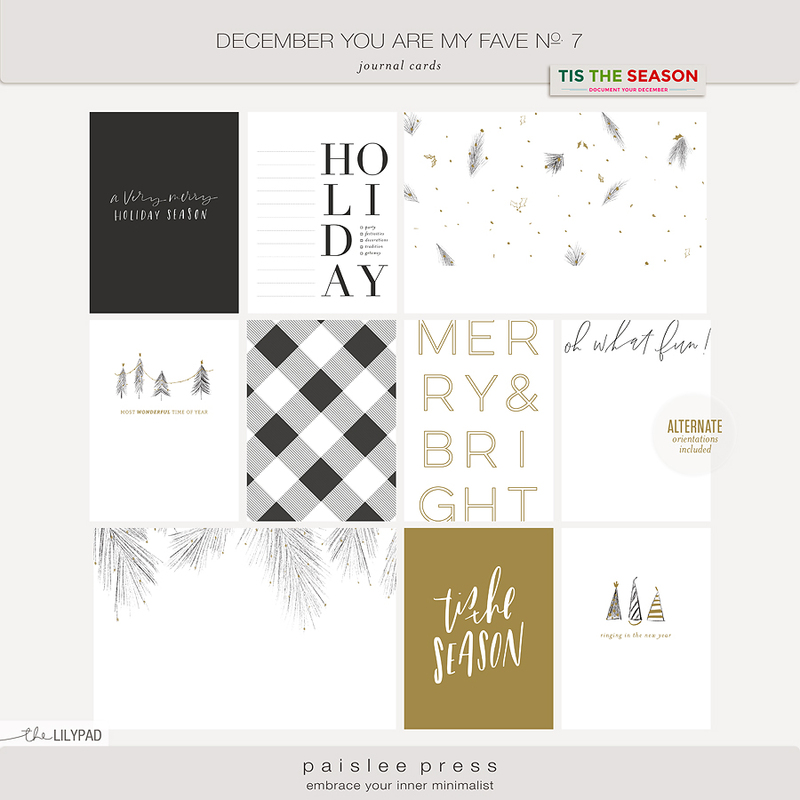 7 is a collection of 3x8 designs featuring open space and crisp white backgrounds, hand drawn wordart - the perfect backdrop to showcase your most cherished photographs. Included in this kit are layered templates, patterned papers and elements that you can mix and match to build a truly unique December album. December, You Are A Fave No. 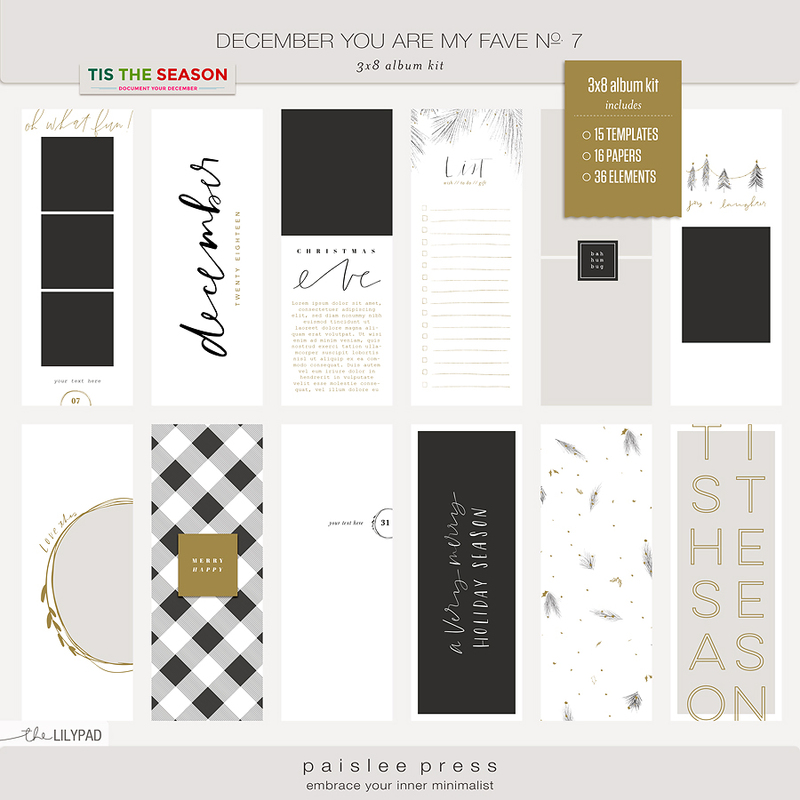 7 is a collection of 6x8 designs featuring open space and crisp white backgrounds, hand drawn wordart - the perfect backdrop to showcase your most cherished photographs. 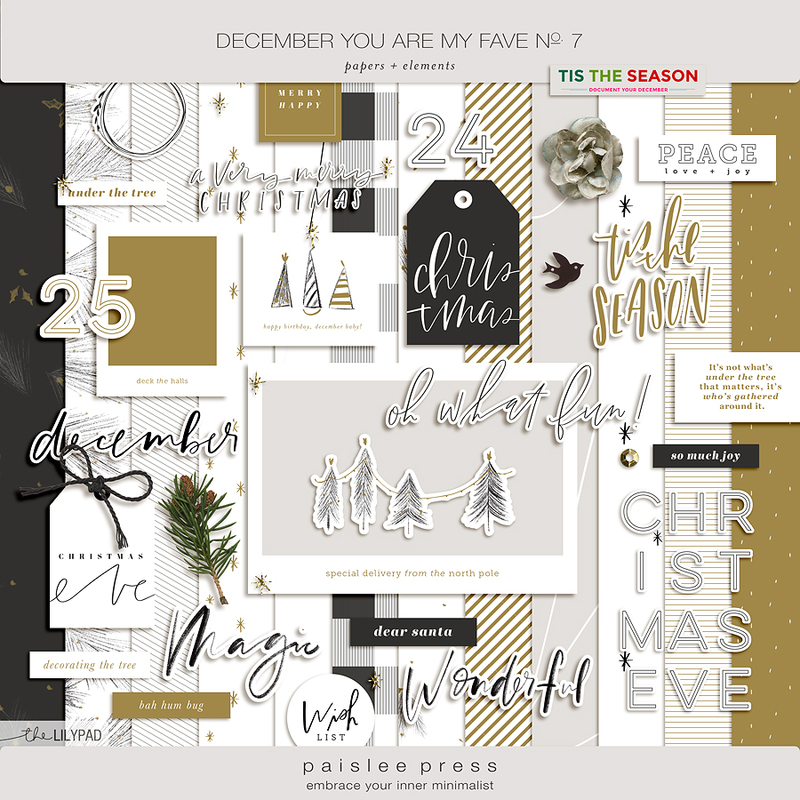 Included in this kit are layered templates, patterned papers and elements that you can mix and match to build a truly unique December album. Holiday themed journal cards are provided as individual JPG files and and as easy to print PDF files - No photoshop required! Set of FOURTEEN 12x12 Papers and 60+ elements celebrating the holiday season. Great for both digital scrapbooking and hybrid projects! Size: 3600x3600px. 300dpi saved as JPG files. • NOTE: The calendar card comes in two versions: Sun-Sat and Mon-Sun. 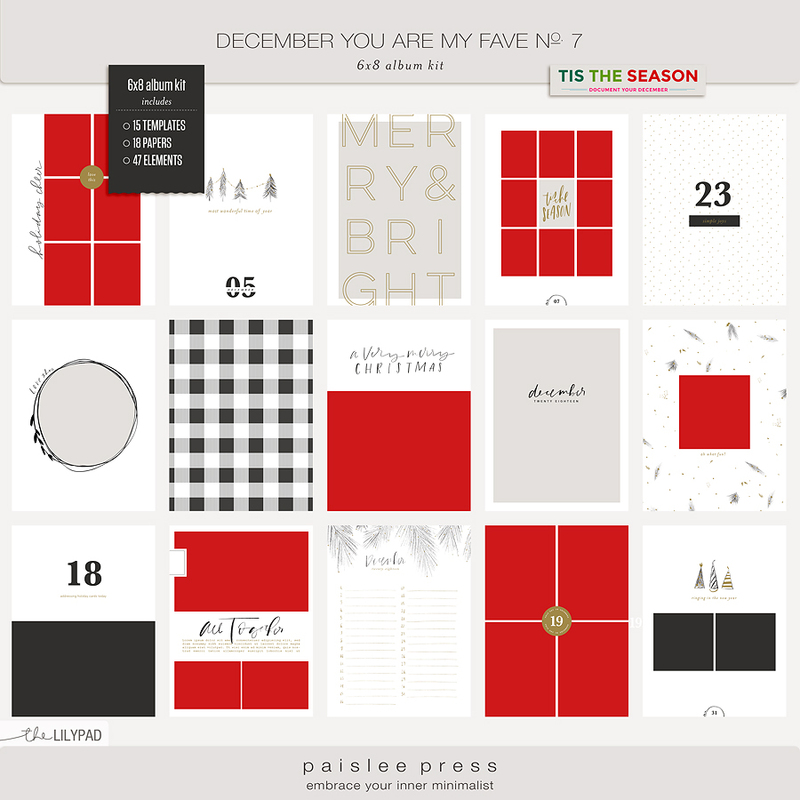 Included in this pack are 12 3x4 transparent cards for your Document Your December. a collection of your favorite christmas movie quotes to make you giggle. an alpha inspired by sugar cookies designed to match the 2018 DYD. phrases include: all wrapped up, baking day, baking spirits bright, cookie exchange, counting down the days, days until vacation, december, december details, gather, give, happy holidays, holiday concert, holiday currents, holiday lights, holiday love, holiday magic, holiday movies, holiday party, holiday shopping, home for the holidays, hustle and bustle, i love this, in the kitchen, in the mailbox, little details, magical moment, memories, my favorite, oh what fun, our december story, party time, peace, school break, shopping days, snow day, time together, tis the season, today's story, to do list, together, top ten, tradition, twinkle, winter vacation, wish, wish list, wrapping gifts.